Sometimes some of the best cocktails you ever make happen by accident. Jenn said this evening that she wanted something that had pineapple juice in it. We have some raspberry liqueur left over from Halloween two years ago (I made a truly horrific punch that called for the stuff, and I had been off it ever since). 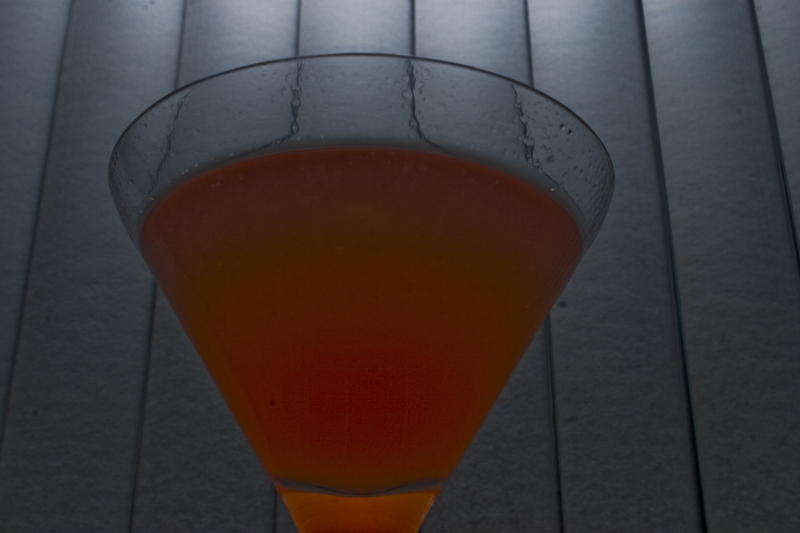 So, I came across a simple enough recipe that used both called the French Martini. Only less… you know… leggy. But here’s where my laziness — FINALLY — came to pay off. I had two martini glasses in the freezer from a couple nights ago that were rimmed with salt. It was for a drink I never got around to making, so I figured rather than dirty two more glasses, I would just use those, and drink around the salt. But, when drinking them, something… delicious happened. Mix in a mixing glass, pour into a chilled martini glass rimmed with salt. Which, trust me, is way WAY good. So, if you’re in the mood for a drink that tastes like one of the best summer appetizers out there, try this’n out!